As you may remember, in part one we have reviewed ideas for placing dinning area. Now let us talk about kitchen units! 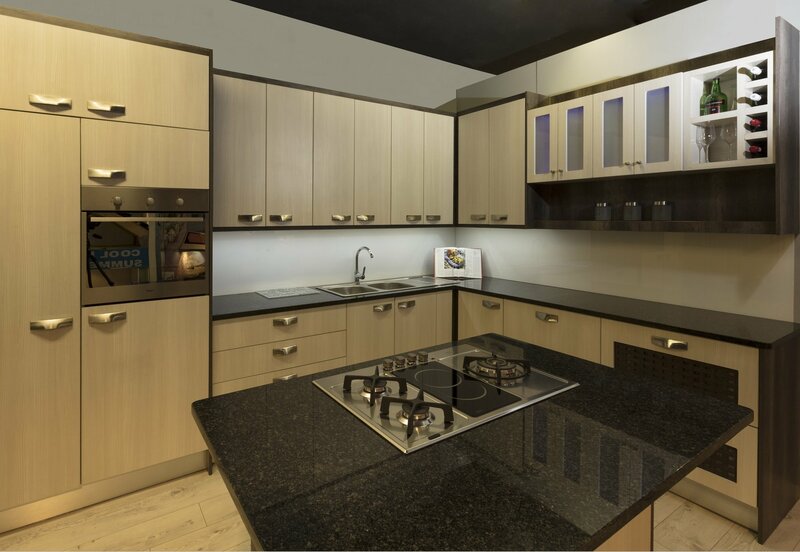 The best option, which will take into account the features of the elongated kitchen during kitchen remodel, will be the manufacture of custom kitchen units, because typical headsets are usually made for standard layouts. 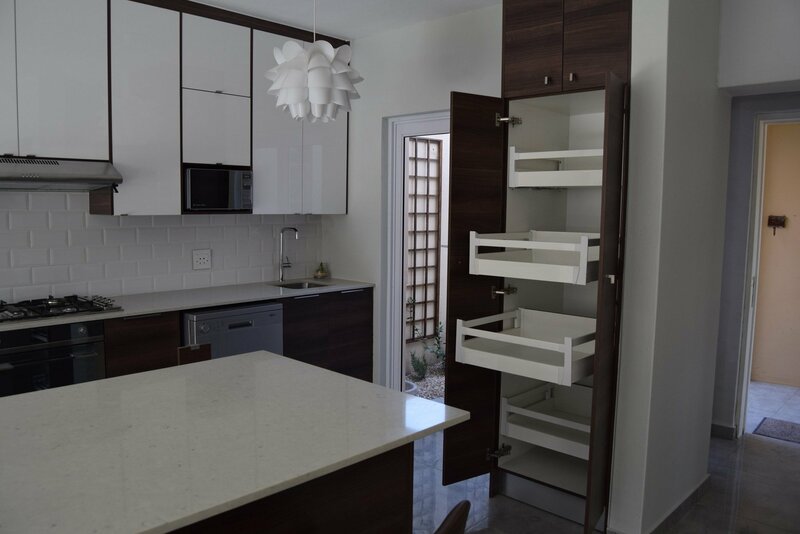 Maximizing the use of a narrow space can be maximized by ordering open shelves (visually increase the space) or cabinets that will "stretch" to the ceiling - this solves the storage problem, when the least used utensils are put on the top shelves and the required one is placed lower. Advice! 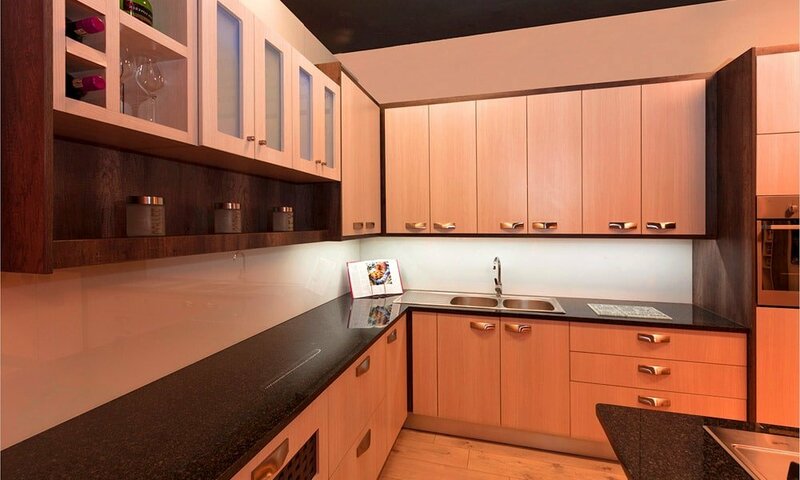 It is desirable that the doors of cabinets in this case were made with transparent glasses, or can be semi-matt. 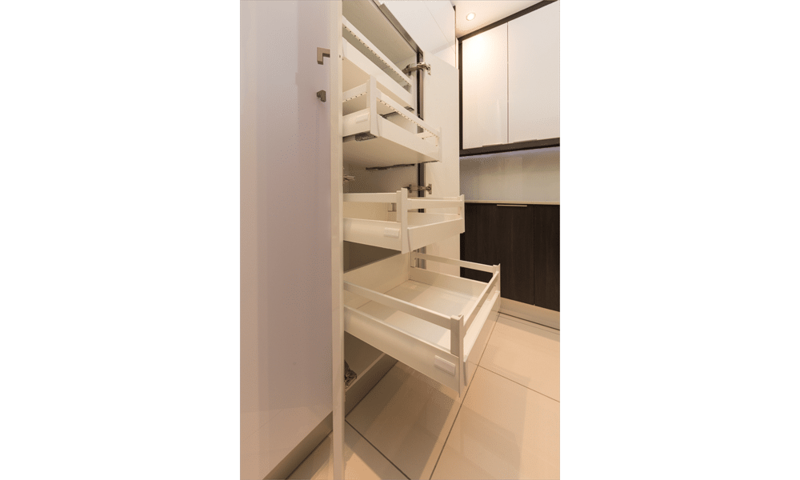 Custom cabinet doors, by the way, can open upwards - this will add the spirit of modernity to your kitchen, and nothing will interfere. In addition, the headset, made according to your requests, in the case of a narrow kitchen will make it possible to realize the most daring ideas: how about the sliding table tops and unfolding tables? You can use them both for food intake and for cooking. The main task in the design of any narrow room is to visually "expand" it. You can achieve this by choosing light colors for the walls decoration, which can be covered with both wallpaper and paint. It is also desirable to make an apron in the tone of the walls or lighter. Of course, it is better if the walls are monophonic, but you can choose wallpaper with a picture, in that case, the main thing is that it should be small. Another option is wallpaper with a panoramic image that will create a linear perspective and expand the space. It is better to not use dark wallpaper, and even more so, do not highlight the long wall with dark wallpaper, wallpaper with light fine drawings or a horizontal strip will do much better. A darker shade is better to allocate narrow walls in order to balance the space. As a coating for the floor is suitable for almost anything, you just need to choose the right pattern and correctly lay the cover. Tiles should better be placed diagonally. When choosing the color of the floor covering, it is important to keep in mind that it is better to choose either contrasting with the main color of the room or repeating it. For example, a dark color on the floor will make the narrow room visually higher, and light floors, similar in color with furniture, will add light. Advice! It will be good to use a covering of rectangular elements, where the narrow side will be facing a long wall - so you can use, for example, a laminate. That's it (at least, for today). Wait for next, final chapter about kithen ideas and tips! Idas were taken from here. 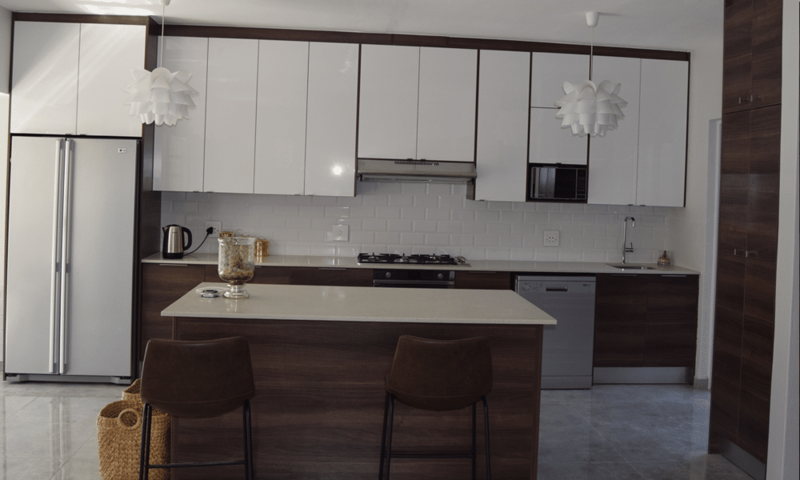 Today we are going to review modern tendencies of kitchen layout design/redesign that are most common for early 2018. 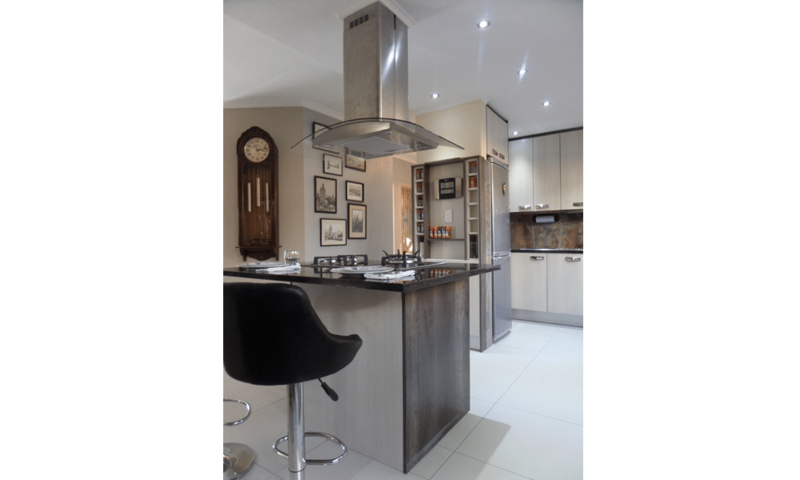 Most of our attention will be driven to narrow kitchens - as this is vital for most of householders. So let's get started! 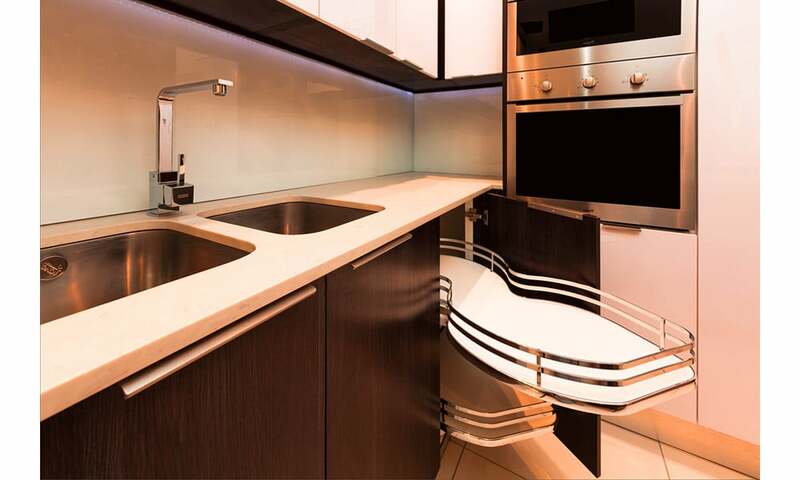 Narrow kitchen design is a complicated and responsible thing. How to make it so that the space was both functional and beautiful? How to properly arrange furniture and what colors to choose when you design such a kitchen? On these and many other questions, we are looking for answers today and learn how a narrow layout opens us wide prospects in the interior design of the kitchen. Narrow kitchen layout - how to place a dining area and headsets? 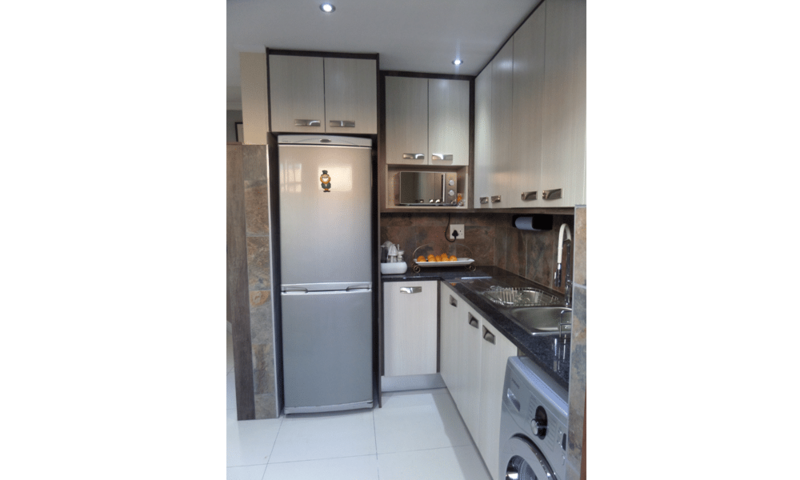 One-row layout, which is also called linear, is when a kitchen set is installed along a long wall so that the refrigerator and the stove are on different sides of the sink. So there will be room for passage, and free space can be used for the dining area. 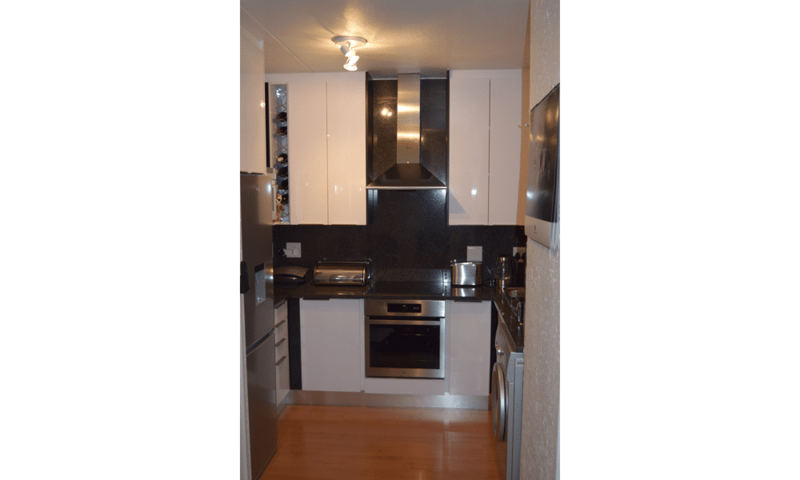 For a very narrow kitchen it will do the best. With L-shaped (or angular) layout, furniture is placed along adjacent walls for the best proportions, and at the same time to create an additional working surface. In this case, you can increase the window sill and make it a continuation of the countertop, use it as a table, or put a washing machine in the niche. Double-row layout is best for an elongated, but wide enough kitchen. 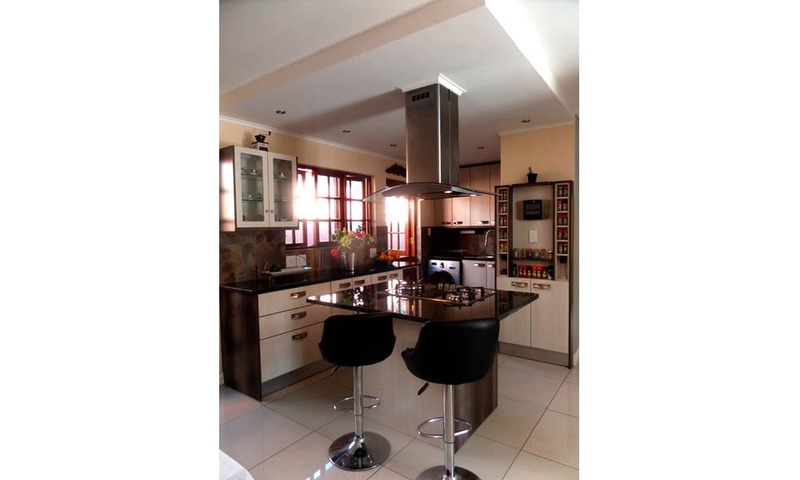 Choose a layout option if you have a large, square-footed kitchen that has a rectangular shape. Then the dining area can be carried to one end of the kitchen, for example to the window. Advice! You have to remember that between the cabinets rows should remain at least 90-120 centimeters. If the space is too small and narrow, then the dining area must either be taken out to another room (like on photo below). Another option - to think over a non-standard solution for placing a dining area - a bar counter, a folding small or narrow table along the wall. Another option for a similar kitchen is the U-shaped layout. 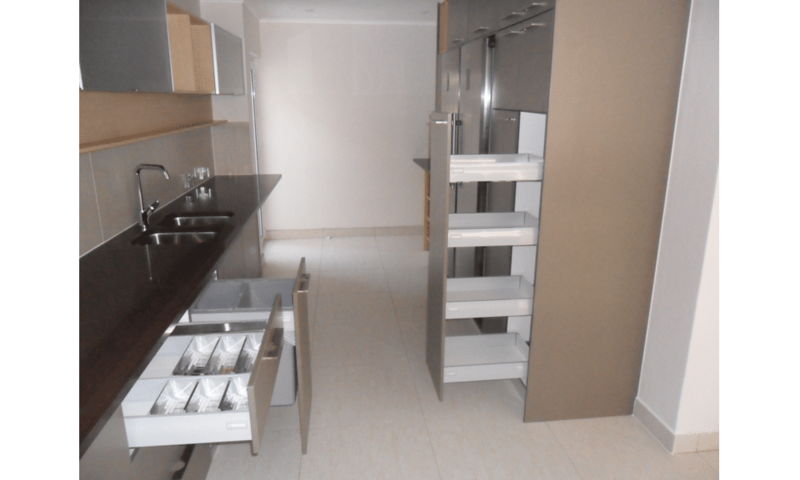 Convenient in terms of the cabinets spaciousness and the ability to put all the necessary equipment into the kitchen, but almost all free space will be lost. With this planning, you will have to move the dining table into the other room, because in the kitchen there will be probably no place for it any more. Advice! When preparing a work area, keep in mind the so-called "triangle rule". Owen, sink and work surface should be placed side by side, as if in three points of one triangle. This will allow you to spend a minimum of time and effort during cooking and related processes. Want to know more? Then wait for the next chapter! How to build bathroom of your dreams in 2018? 2018 is all around us, so modern tendencies of what is nice great looking home are changing. So what have changed for bathroom? Are bathroom renovation tendencies different from previous years? Let us find out. 1. Bathtub or shower cabin? There are two points of view on this question. If you have small bathroom, in 2018 shower cabin will be your choice. It helps to save space; it is not expensive and pretty comfortable (if you are not going to take a bath, of course). So choose shower cabin and be happy. 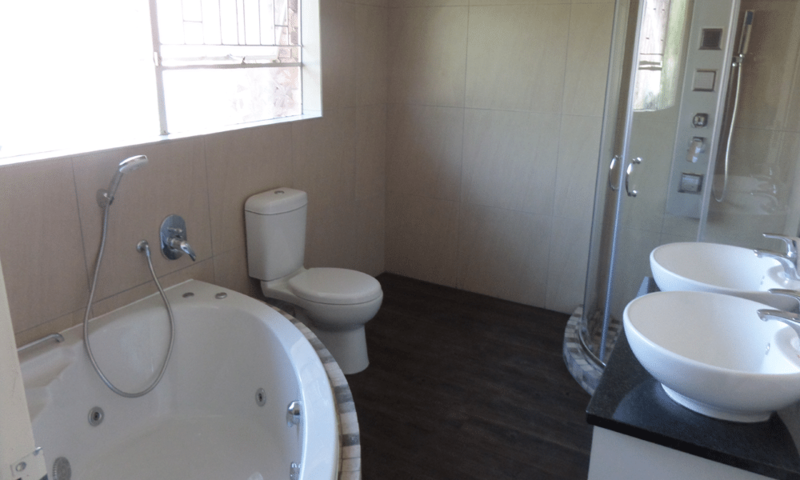 On the other hand, if your bathroom big enough and you want to get certain comfort level – bathtub will be your choice. In addition, it is possible to install both. 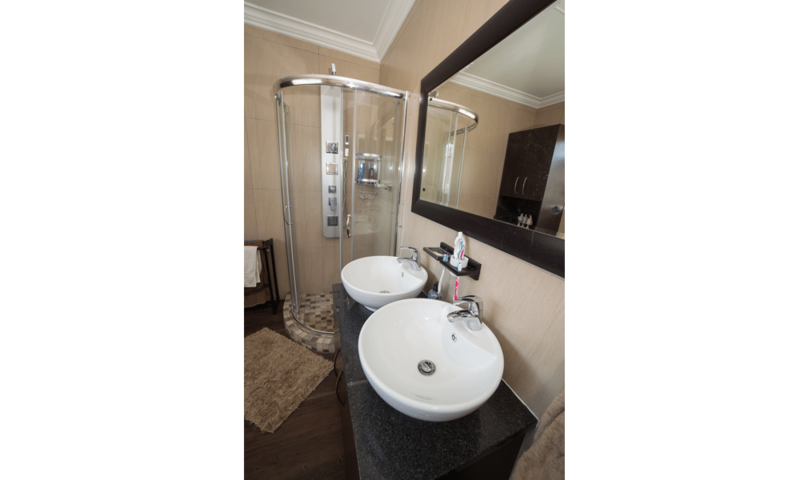 Then if you are in hurry and just need to take a shower before work – hop into the shower cabin. But if you are going to spend romantic evening with your beloved – bathtub with warm water, rose petals and candles at your service. Will it be better to have bright light – or to have twilight in your bathroom in 2018? Answer will be one word: harmony. There shouldn’t be too dark (especially for women – makeup in the darkness isn’t the best idea). On the other hand – it shouldn’t be too bright, like in the desert in the middle of the day. If you are not going to wear sunglasses each time you are going to visit bathroom – make lighting adequate. 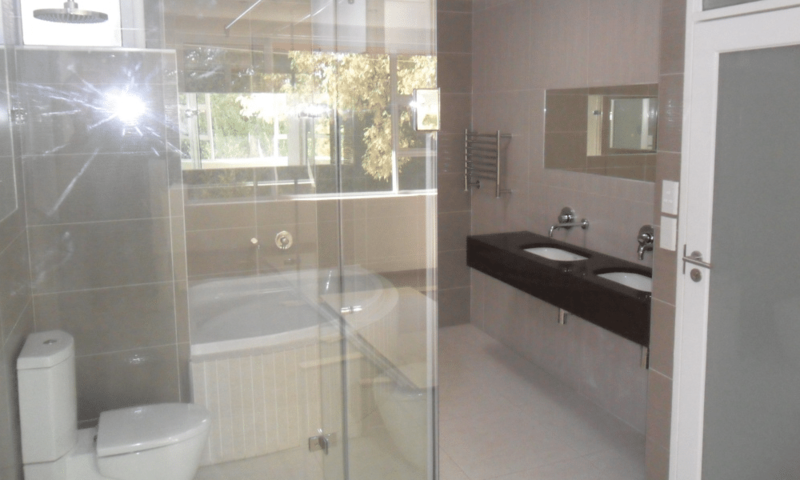 If your bathroom small – sliding door or folding door is your choice. But even if it is big – common 2018 tendency is minimalism. Let the door be simple – and your bathroom will look modern. With this 2018 is very simple – don’t make parrot from your bathroom! 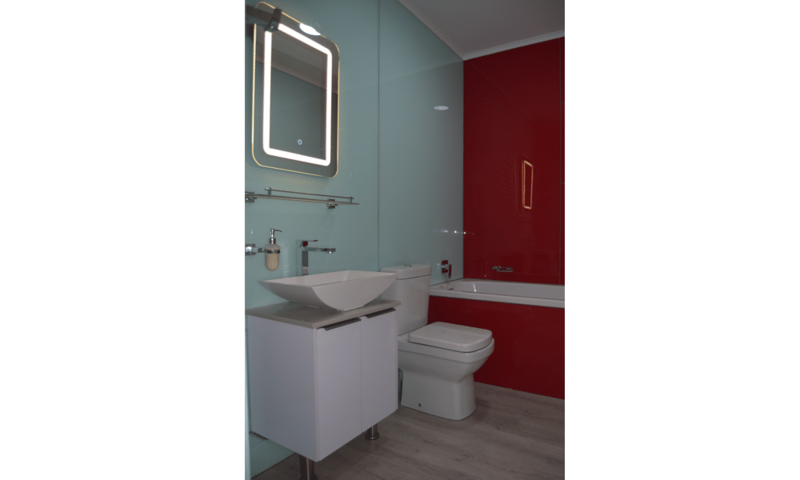 One main color with (possible) color accent on some zone (mirror, bathtub – let your fantasy work) and that’s it. Preferably make it lighter – dark colors will make bathroom visually smaller. That’s it (at least, for today). In conclusion, if you need help with bathroom renovation (on any stage – from creating 3d project to making actual works) – you better call professionals. 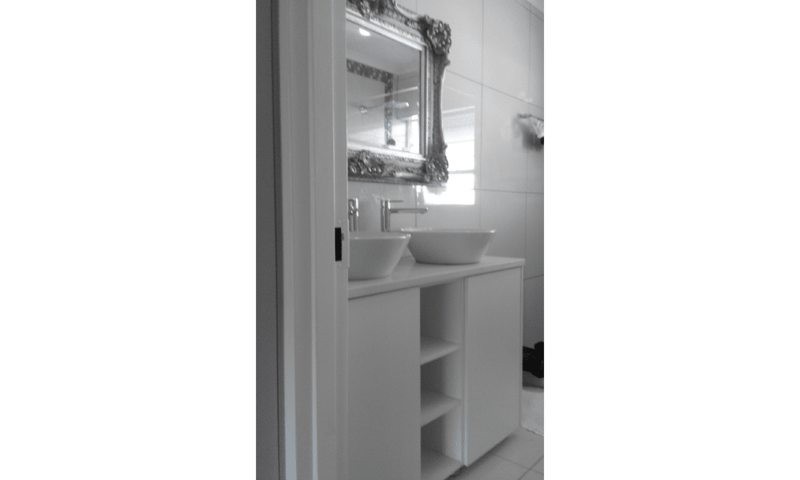 Take a look at http://www.europeancarpenter.co.za/services/bathrooms/ and use high-class services offered there to get the result that would inspire you for many years while entering your brand new bathroom, renovated in 2018! Today we will talk about Mike Weigl. He is very interesting person - and not only because he is the European Carpenter founder. Well, let us find out more about him! Since Mike grew up, he was rising the idea of founding company, bringing perfection in its services. But to know how to bring perfection you should see enough of perfection before, right? So during 30 years Mike was mastering all necessary skills working in different European countries. He was working in Germany, learning best renovation examples in Berlin, spend a lot of time in Austria, examining best architecture approaches in Vienna. Mike practiced his trade in the Czech Republic, wondering narrow streets of Prague to find inspiration. In Switzerland he learned how to build perfect-looking small houses. And time spend in United Kingdom, seeing best examples of English architecture showed him how to create something that will stand for centuries. And of course how to take something that was standing for centuries and make it modern looking and comfortable for living. The time has passed and finally Mike have decided that he is ready. 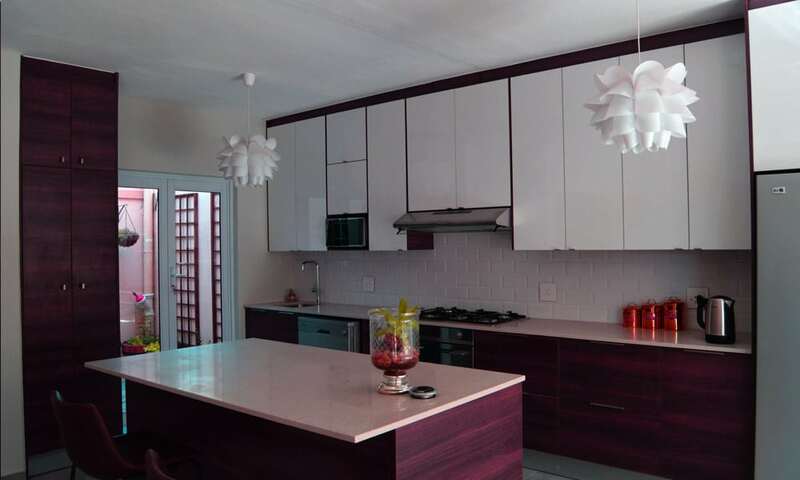 He was experienced carpenter and renovator, knowing how to do kitchen, bathroom, bedroom renovation and remodelling, how to build some house addition, no matter what is it - garage, new kitchen, or some other room. How to make interior look classy no matter how it was looking before. Therefore, in the year 2009 Mike Weigl founded The European Carpenter company. And since that day he was bringing perfection to the living spaces of South Africa people. All the years of his company work Mike have never ended working on the project, no matter it is big house reconstruction or just some tiny renovation, until the client was completely satisfied and fascinated. And this approach brought Mike to success. Mike didn't like to show his personal life to public - google him and you will find nothing. Really, try "Mike Weigl South Africa" request - only European Carpenter official site will try to give you some information about him. But you knew most of it already if you read this article until here, isn't it? So if you want to know more about him - you will have to ask by yourself. 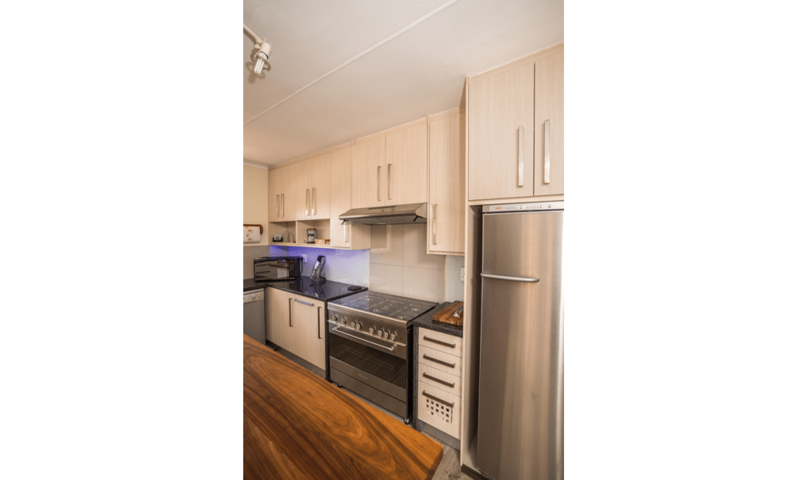 Call +27 (0)72 642 6812 or write to mike@europeancarpenter.co.za and Mike will answer all your questions. Just don't use his kindness for asking questions only about him - order European Carpenter services to make your home a better place to live into! 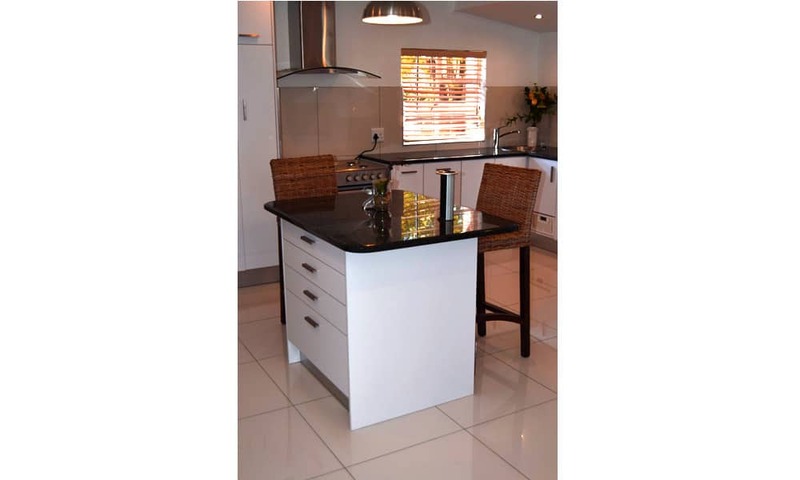 The European Carpenter – professional carpentry servicesthroughout Gauteng, South Africa. 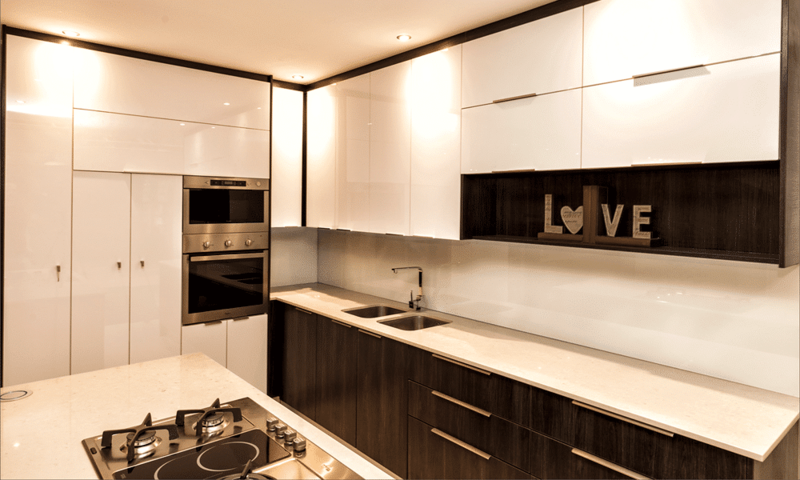 The European Carpenter provides a full range of interior design and renovation services to homeowners across the area. 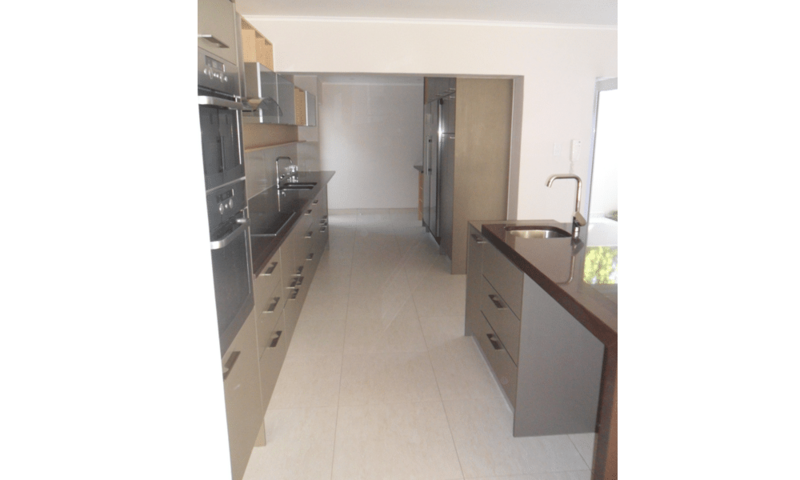 Projects include complete property transformations to kitchen and bathroom projects and lots more besides. We aren’t just a carpentry company. We transform living spaces with expert craftsmanship, professional interior design and build. We undertake complete home transformation projects that include bespoke design and builds that can truly revolutionise the way you live. Want to know more? View our services!